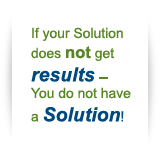 At ALESYS, we develop performance solutions by building you into the process. By leveraging your knowledge of your company and our expertise in workplace learning, we build a solution that is customized and targeted to the results your company must achieve. Together we can make a difference! 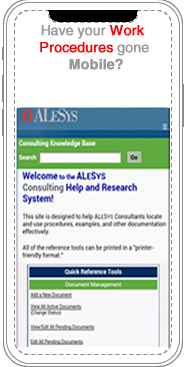 ALESYS' Integrated Approach to Learning® can help you realize the results you need and expect from all your training and change efforts. We have been consulting with our global Customers for over 15 years to assist them in realizing very significant business results from their investments in training employees and managers. Our breadth of experience, formed across many industries and projects, brings a fresh perspective and the best practices necessary to custom develop a vision and implementation plan that will create lasting performance improvements for your organization. Our performance consulting process often starts with a thorough analysis of work processes and procedures to ensure they enable your workforce to perform their job tasks to your standards. Our process is collaborative, involving your subject-matter experts as needed to verify the integrity of your work procedures. Using the verified and approved work procedures, we then facilitate your key managers to determine the performance standards that will lead to the business results those managers must demonstrate for your organization to be profitable. ALESYS has been focusing on performance improvements since 1991. We were founded with the purpose of transforming training into behavior change, which leads to lasting performance improvements. No matter what performance issues or problems you experience, from the executive level to sales to front-line employees, you can count on ALESYS to guide you in efficiently solving those issues. We always get the job done quickly and powerfully. That is our guarantee to you! Like to learn more about how our Performance Consulting can improve the performance and the business results of your organization?